A wounded Northern Alliance fighter is helped by a comrade after a battle with the Taliban on the Shamali Plain in Parwan Province, Afghanistan on November 12. 2001. 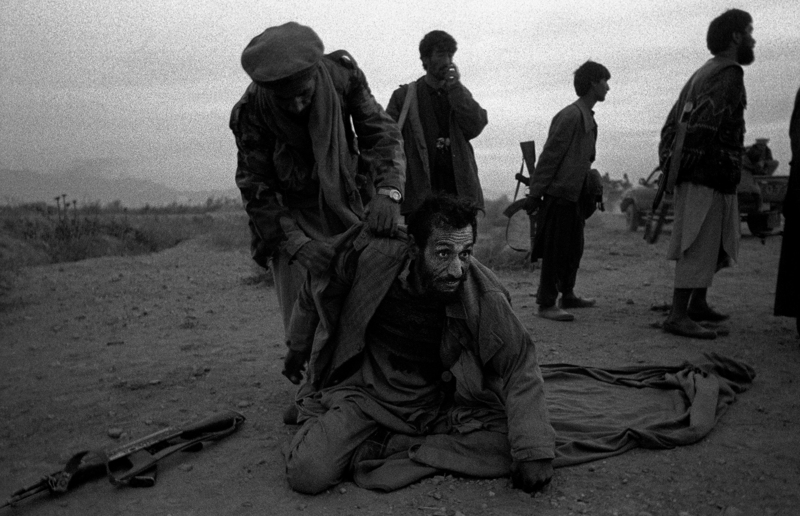 The Northern Alliance penetrated this final front north of Kabul and lead to the fall of the Taliban regime in Kabul.